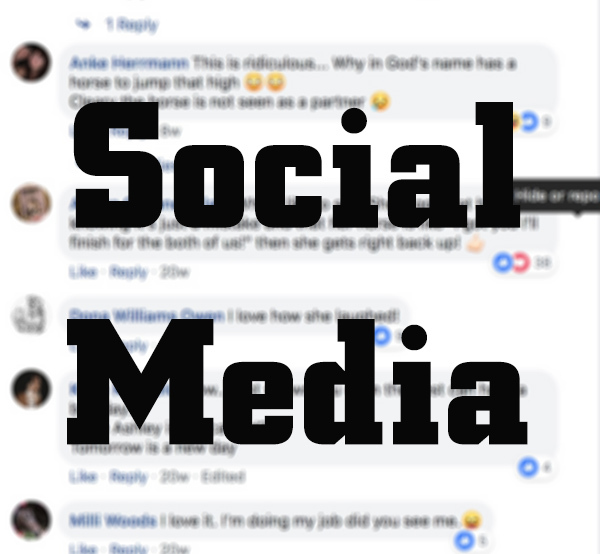 Social media has the power to lift up, promote, and enhance the smallest of competitive equestrian events, while simultaneously to destroy events, or people, within a very small window of time. Social media platforms provide an invaluable, and very inexpensive, means by which to promote, as well as to invite people into the realm of the competitive equine industry. It’s not just equestrian groups that are turning to social media, but individuals as well. I don’t know of high quality trainers, with a competitive group of exhibitors, who do not use social media platforms for the purpose of promoting their individual programs by highlighting their client successes, advertising horses for sale, and sharing information relevant to their clients or riding disciplines. In some cases, individual websites are a thing of the past, as social media provides more instant access and responses. In February of 2018, a new statistic was published saying that 7 out of 10 people use Facebook for a variety of reasons. In every age demographic breakdown, there is a higher percentage of women than men. When you think about that, and also consider how the competitive equestrian industry is primarily made up of women, 75% women to be exact, the power of promotion increases exponentially. We, the exhibitors, trainers, families, and businesses related to the equine industry, are our own biggest consumers and critics of our products. This is the digital age, and people like getting immediate access to whatever they want. The advances in technology over the last decade alone have made instantaneous access to information much easier. Due to this type of advancement, all people are conditioned to getting what they need very quickly and easily, without having to talk to actual people. I love reading about how my friends showed and seeing their growth or success on social media platforms. It makes me excited about going to an event or being part of a show. 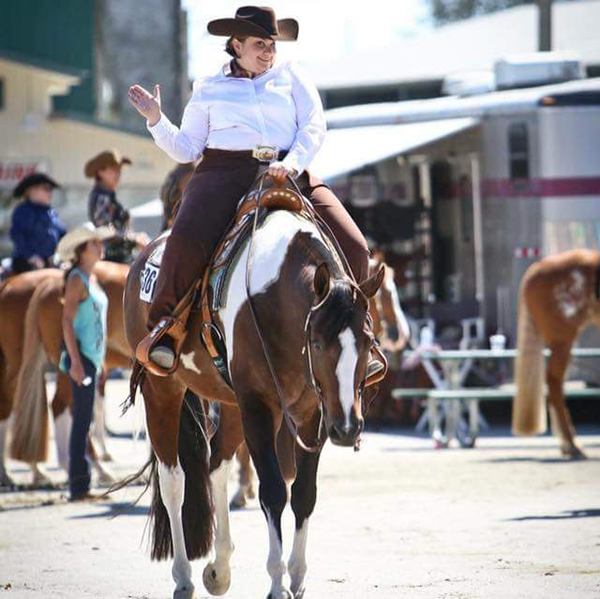 I don’t think there is anything wrong in highlighting individual successes and the extra fun things that make a horse show such a great time. I love seeing the smiles on people’s faces and the fun they’re having as large or small groups all over the show grounds. When social media is used to highlight positivity and/or sportsmanship and community, the sky is the limit. When excitement, competition, and positivity are highlighted, it makes others want to join in and be part of the positive atmosphere. Social media can also be a dangerous tool, which, if not properly managed, can lead to a great deal of negativity. This negativity can cost a person or group more than just a few comments or bad reviews. Social media can be tremendously harmful and lead otherwise hardworking and positive people down a rabbit hole of pure negativity. This is not a platform for breaking people down or airing dirty laundry for others to read. It’s actually amazing when you consider how negativity can spread like a virus on social media. One negative comment can multiply exponentially, which can then lead to even larger issues, and that’s something very hard to come back from. As competitive equestrians, we all come from different disciplines and areas of the sport. We have different ideals on horse movement and success. This is only a small part of what makes our industry so rich and savory! It’s okay to have a contrary opinion, but there is a time and place for voicing your opinion, and it’s not on a social media forum that’s open to the public and designed to highlight the positive work of a person or group. So, my friends, I challenge you to use your powers on social media for the forces of good. Don’t get sucked into the dark side and spiral down the drain. What’s the point? What can you possibly get from that? Will it ultimately make you feel good when the comments begin to roll in? Your negativity may be adversely received by others, and you may find yourself at the receiving end of ridicule. Your comments may help to fuel a firestorm of negativity that has nothing to do with your personal level of involvement or understanding of a situation. Don’t use passive aggressiveness as a means of wreaking havoc. If you have a problem with a person or group, please, contact them directly. The pages of social media are not the place to vent your individual frustrations or problems. In the end, you may end up with more than you bargained for. If you’d like to comment on a topic in the horse industry with a blog on EquineChronicle.com, email B.Bevis@EquineChronicle.com.